What disempowering beliefs have you downloaded? Our beliefs influence our thinking. Our thinking influences our feelings. Our feelings influence our actions or behaviors. Simply put, everything we say or do is rooted in what we believe, about ourselves and the world around us. Therefore, in order to create lasting change, we must practice the skill of self-awareness and assess the effectiveness of our belief systems. Where do our beliefs come from? While there isn’t a single answer to this question, I want to highlight one source which can have a devastating effect on the choices we make. I refer to it as OPO’s (Other People’s Opinions). 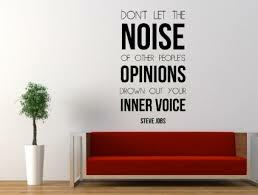 From the time you were a child, you’ve received, directly or indirectly, countless opinions of others. These opinions fall into two distinct categories: disempowering or empowering. Whether it was a friend in elementary school who mocked you for fumbling the ball at recess (disempowering) or a teacher who professed her complete confidence in your ability to pass a Math test (empowering), each of these opinions has the potential to shape your beliefs. Here’s how it works. Imagine an OPO as a piece of computer software that can be downloaded into your mind. If it’s downloaded, it changes your operating system (beliefs). If you choose not to download it, your operating system remains the same. Herein lies the power of self-awareness. It’s clear that Joe downloaded the disempowering OPO software that his friend Kyle had offered him. Without proper self-awareness and the ability to choose whether or not he would accept these words as the truth, Joe’s belief system was altered and his self-confidence was diminished. Just as you can uninstall computer software programs on your computer, so too can you uninstall disempowering beliefs that are the result of OPO’s. Let’s face it; each of us has programs that we’ve downloaded that aren’t serving us well. For me, I spent years holding on to the belief that “I’m not good enough” and it kept me safely in my comfort zone for many years. Only when I was able to uninstall this program and replace it with a more empowering belief did I start to realize more freedom and joy in my life. Here are some real life examples of OPO’s that could have greatly altered various lives. However, because these individuals chose not the download the disempowering beliefs, the rest is history. OPO of Dr. Lee De Forest, inventor of the audion tube and father of radio, on Feb. 25, 1967. OPO of Decca Records rejecting the Beatles in 1962. OPO of Charles H. Duell, US Commisioner of Patents, in 1899. OPO of a newspaper editor informing Walt Disney that he was fired from the newspaper. Date unknown. I invite you to consider the beliefs you’re holding onto that are a result of what someone else has told you. Remember, you’re beliefs influence your thinking. Your thinking influences your feelings. Your feelings influence your behavior. If you’d like to learn more about the process of self-awareness, I invite you to watch a webinar I presented last week as part of Vitality-EQ Week, sponsored by Six Seconds. Click here to watch.